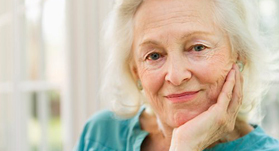 Memory Care Units are structured environments for persons suffering from memory loss. Memory losses can be caused by any number of reasons, including, but not limited to, Alzheimer’s disease, Lewy Body disease, Pick’s disease, and Stroke. Within Memory Care, factors such as interior design, lighting, and activity programming are tailored to the needs of residents suffering from these diseases. Millions of Americans suffer from Alzheimer’s disease or some form of dementia, and the numbers are expected to continue to rise. In response to this growing trend, long-term care organizations are developing dedicated, dementia care units. “The advent of dementia facilities has helped families find care suited to their loved one’s needs, yet the challenges of sifting through information and selecting the right care facility continue,” states Stephen Blend, Executive Director of The Life Center. This will be more complicated as more facilities open their doors. Families need to remember that the need of individuals experiencing memory loss differ from other geriatric illnesses. As a result, the care facilities should be different too. Obtaining the information listed below will help families select the care that is right for them. Consider staffing levels. Ask questions about how many licensed nurses and aides are present during each shift. Consider the environment (lighting, color scheme, and flooring). Daylight quality illumination during waking hours is beneficial, as it allows for the highest level functioning in residents. Color schemes should be calm, soothing and home-like. Flooring should be skid-resistant and familiar. Ask about group and individual activity programs offered. Request a copy of the activities calendar to see what is provided. This can also transition into asking about care plans and wellness programs for residents. Request information about room rates and services, and what is included in the daily fee. This will help determine whether residents and families are getting the most value for their money. Evaluate how the facility gets to know its Residents. Many places have families fill out questionnaires and family histories to better understand each new Resident. This information helps caregivers tailor the environment to an individual’s needs. Ask about safety policies and procedures. When selecting a care unit, it is important to find a place that balances the need for a home-like environment with the need for dementia-specific safety. If you or a loved one are interested in more information about Alzheimer’s / Memory Care, please contact us online or call Sharlynn Watkins, Admissions Coordinator, at (515) 255-5433. Things to keep in mind when considering care for loved ones suffering from Alzheimers or other form of dementia.